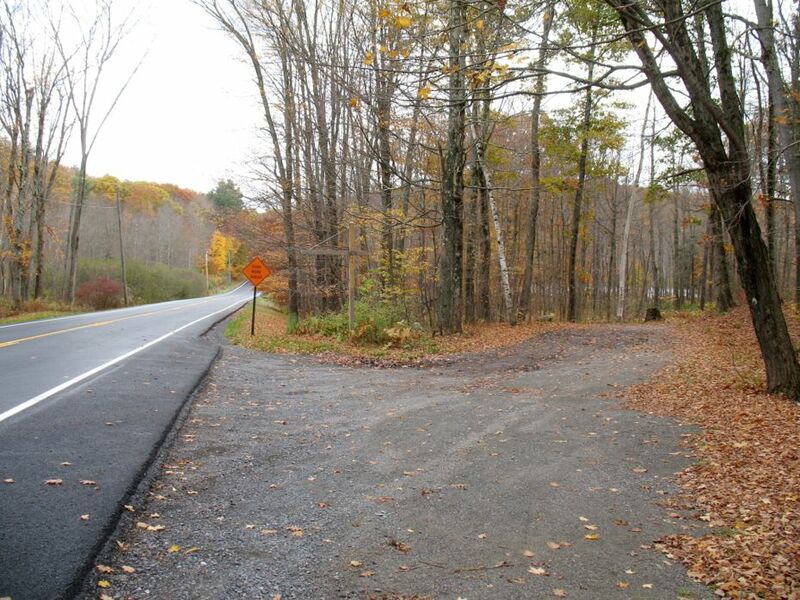 The trail head and its small parking area are tucked away off of county route 5, so this is what the access road entrance looks like. 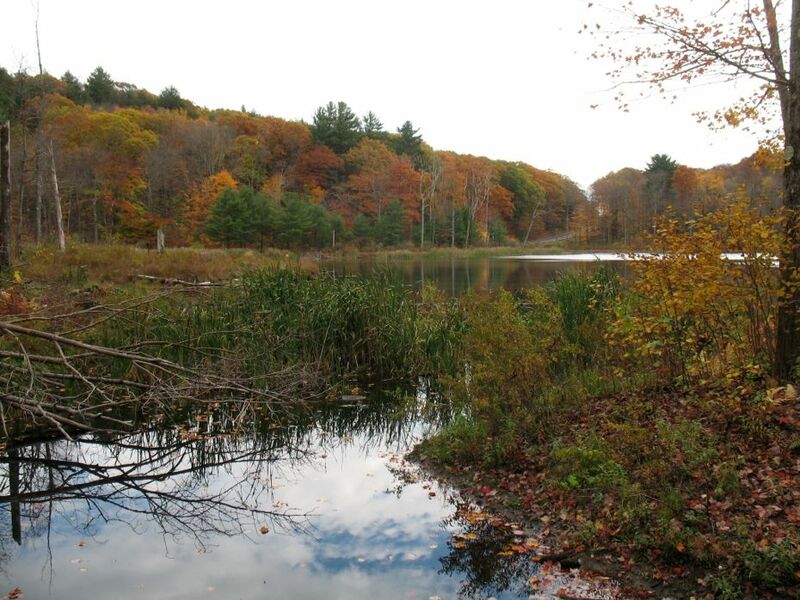 Barrett Pond, near the trail head. 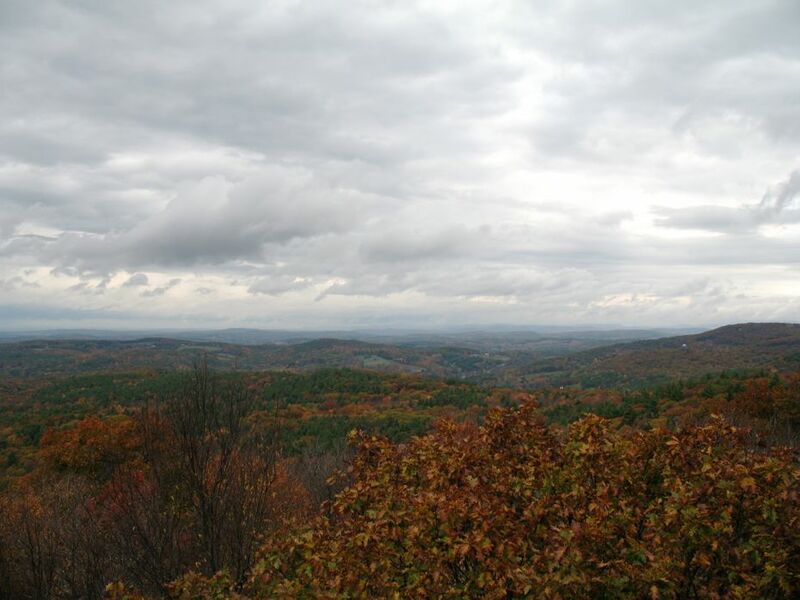 (You can also see it from county route 5). 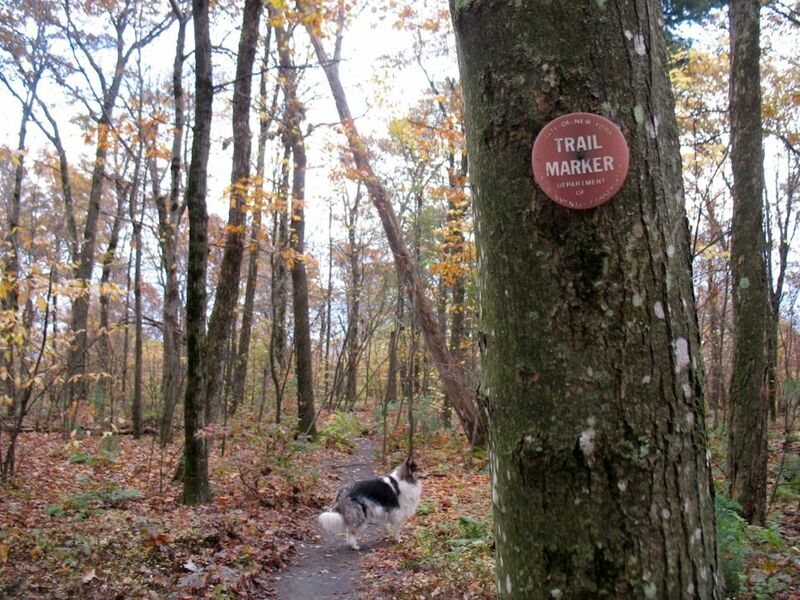 The trail to the tower has red markers. 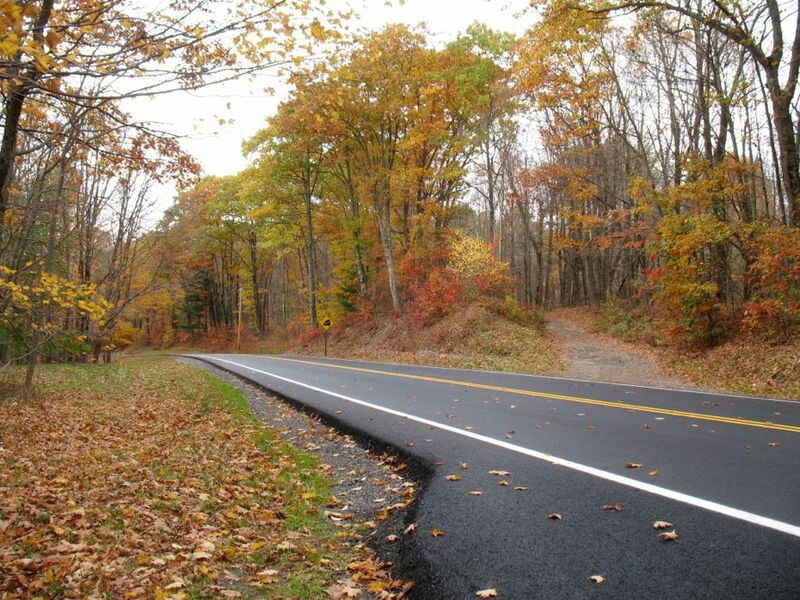 Just driving along the roads in the area this time of year is beautiful. 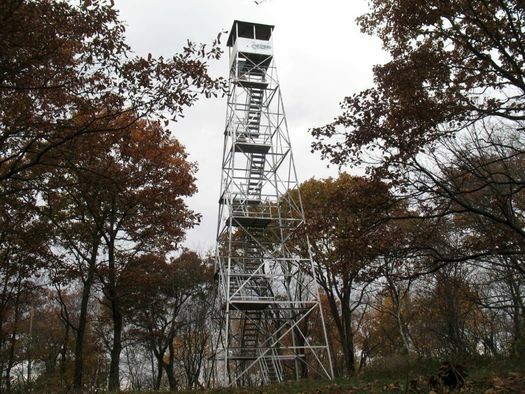 Here's another quick trip that could be fun this time of year: Beebe Hill and its fire tower. 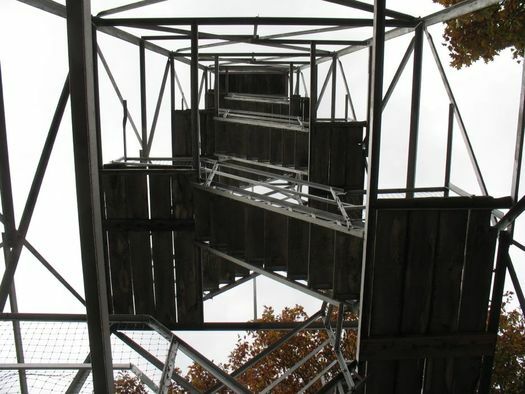 Looking up at the fire tower. 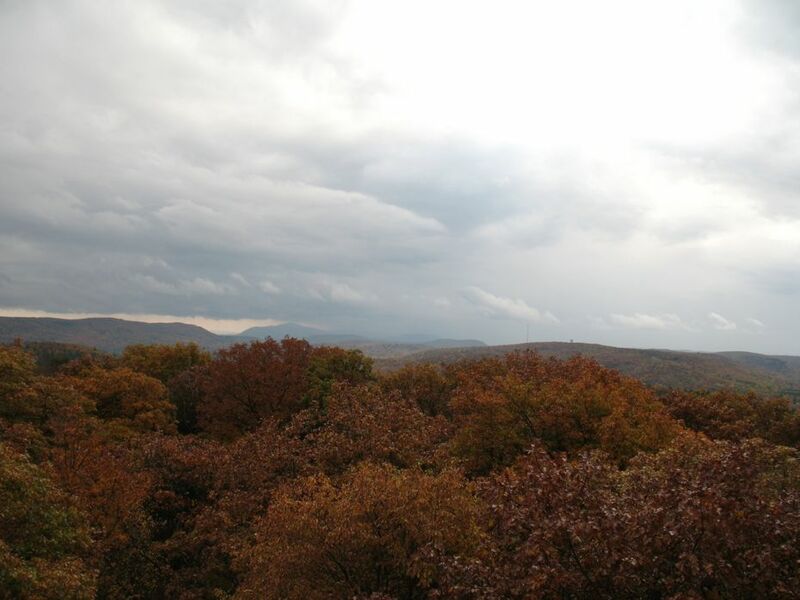 Beebe Hill State Forest is in Austerlitz. It's about a 45 minute car trip from Albany. 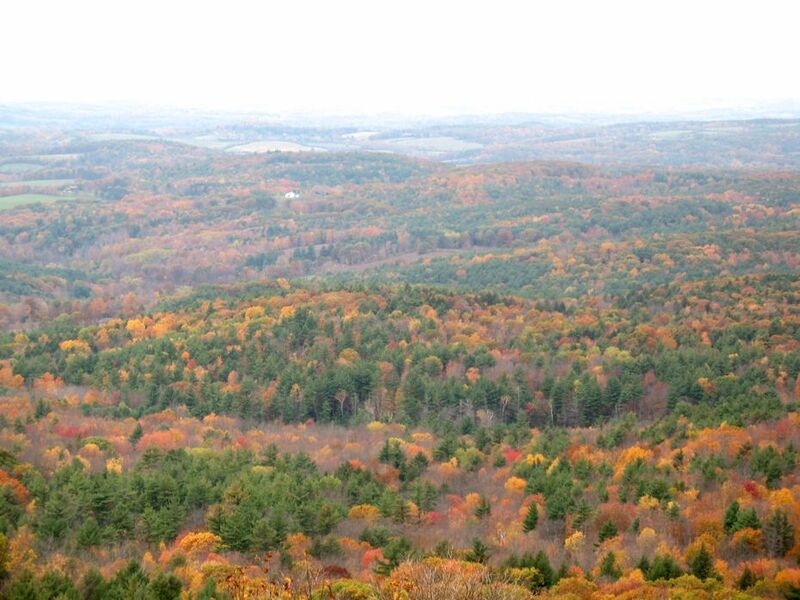 From most places in the Capital Region, it's probably best to head out on I-90 almost all the way to the Massachusetts border and exit at B3. Then head south on Route 22, and turn right on county Rt 5. Here are Google Maps directions. Because of the fire tower. 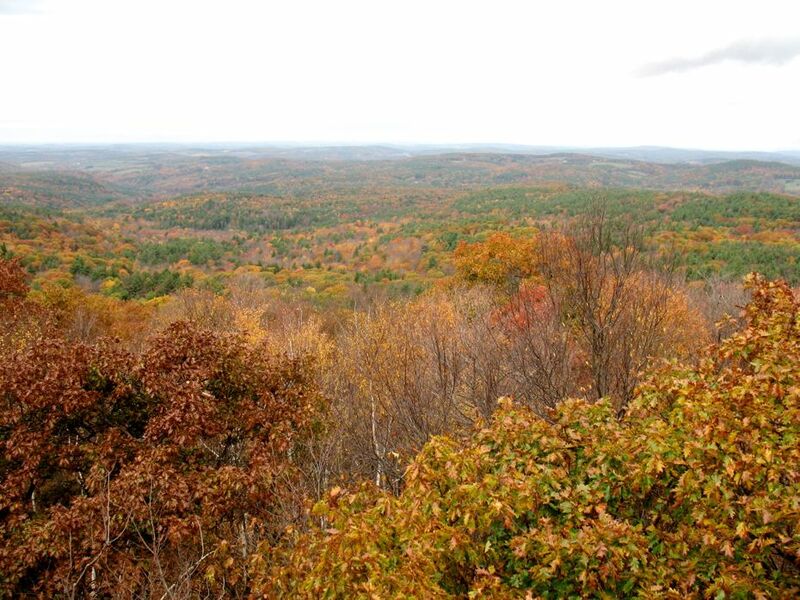 There are some great views of the surrounding area -- especially during the fall. 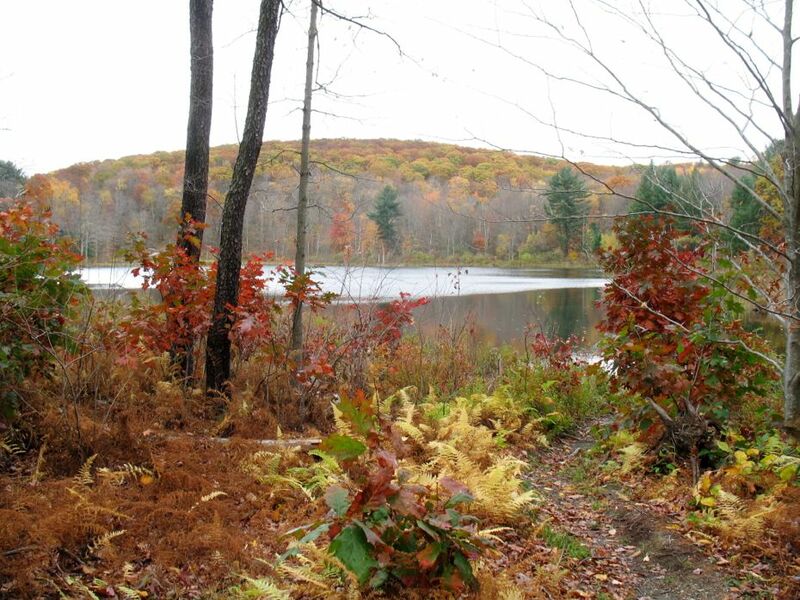 There's also a lake at the head of the fire tower trail. It's pretty. One note about the fire tower: It didn't noticeably shake, sway, or rattle while we were climbing it recently. But if you are afraid of heights, there is a good chance it will push that button for you. There above in large format -- click or scroll all the way up. Well, you're in Columbia County already, so there's a bunch of stuff you could do. 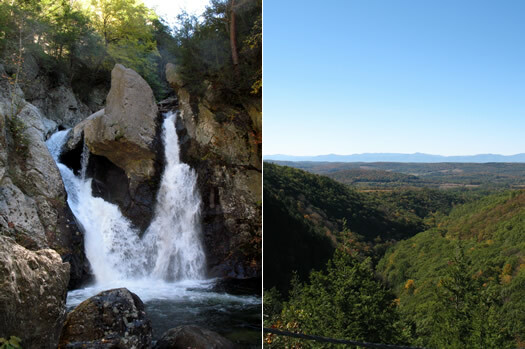 If you're looking for more hiking of the not-hard-relatively-big-payoff variety, you could keep heading south on Route 22 to check out Bash Bish Falls (which are in Massachusetts, but you can get there from New York's Taconic State Park in Copake Falls). 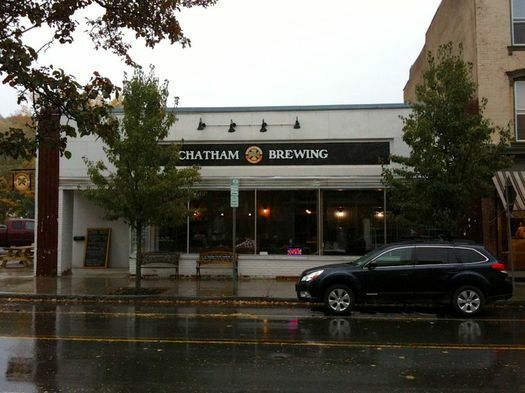 Chatham Brewing Co. now has a storefront on Hudson Ave in the village of Chatham. 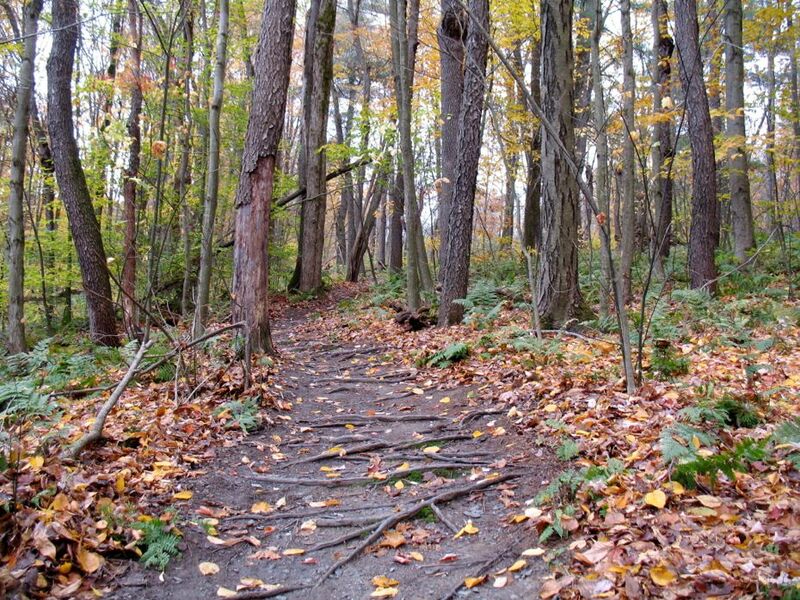 If you're interested in a different direction (literally and figuratively), you can hop on Route 203 and head over to Chatham, which is about 7 miles away. It's a cute little village with a bunch of shops and places to eat. 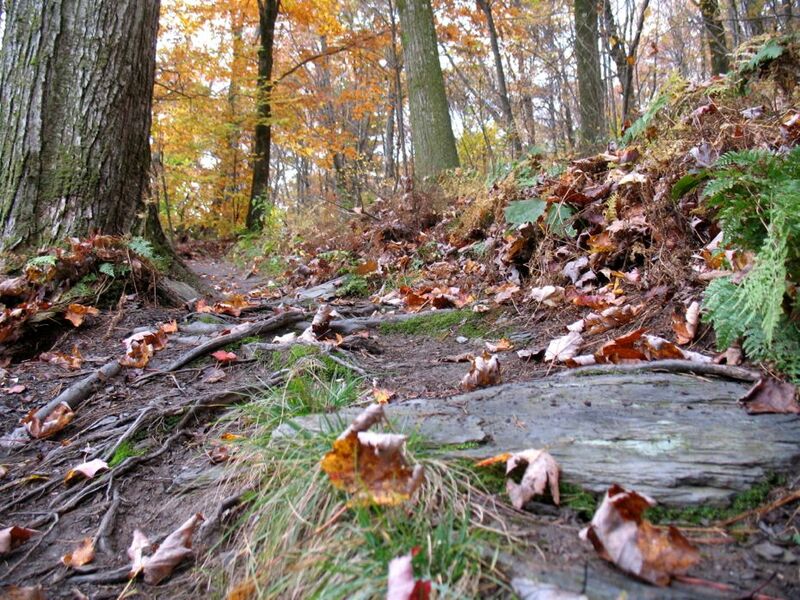 Love this easy little hike, such rewarding views! 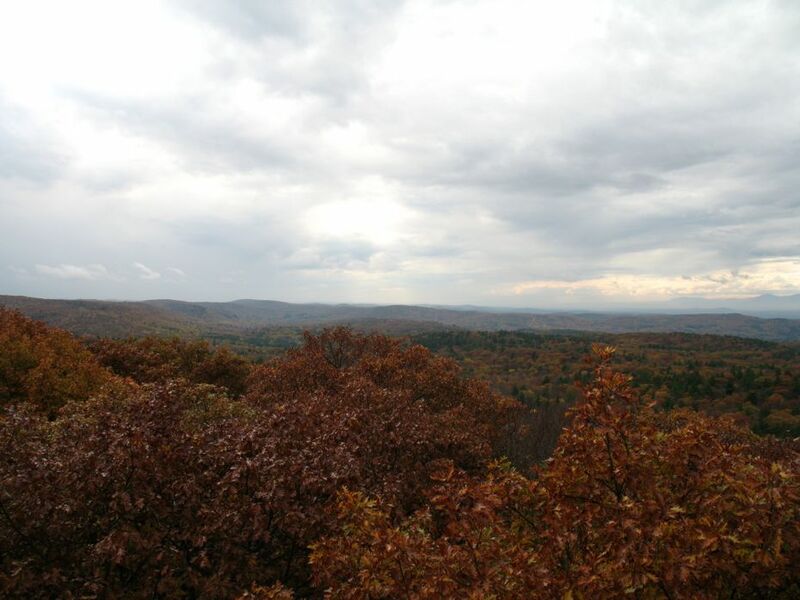 Columbia County is wonderful.